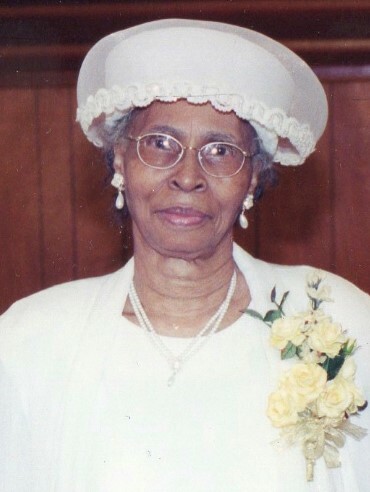 MATTHEWS: A Service honoring the Life and Legacy of Mother Mary Lee Stanley Matthews of Lithonia, Georgia will be held Thursday, January 31, 2019, 11:00 a.m. at Shiloh Baptist Church, 216 West Mill Street Jonesboro, Georgia The Reverend Robert Taylor, Pastor; The Reverend Shirley Mann Beavers, officiating. Interment, Monte Vista Biblical Gardens. Remains will lie in repose from 9:00 a.m. until the hour of service. The family will receive friends Wednesday evening, January 30, 2019 from 6 to 7 p.m. at Legacy Chapel, 8968 Fayetteville Rd, Jonesboro, Georgia. Survivors are eight sons, Charles Mathis, Jerome Mathis, David Mathis, Ronald (Delphine) Mathis, Leroy (Lilly) Mathis, Roland Mathis, Jerry (Vickie) Mathis and Darrell Mathis; two daughters, Agnes Mathis and Bobbie Jean Floyd; one sister, Marguerita Brittian; one brother, James Delaney; and a host of grandchildren, great grandchildren, nieces, nephews, other relatives and friends. Family and friends are asked to assemble at 5814 Albans Way Lithonia, Georgia at 9:30a.m.